Free celebratory bubbles and party vibes! Reserve your ticket to this FREE event here! 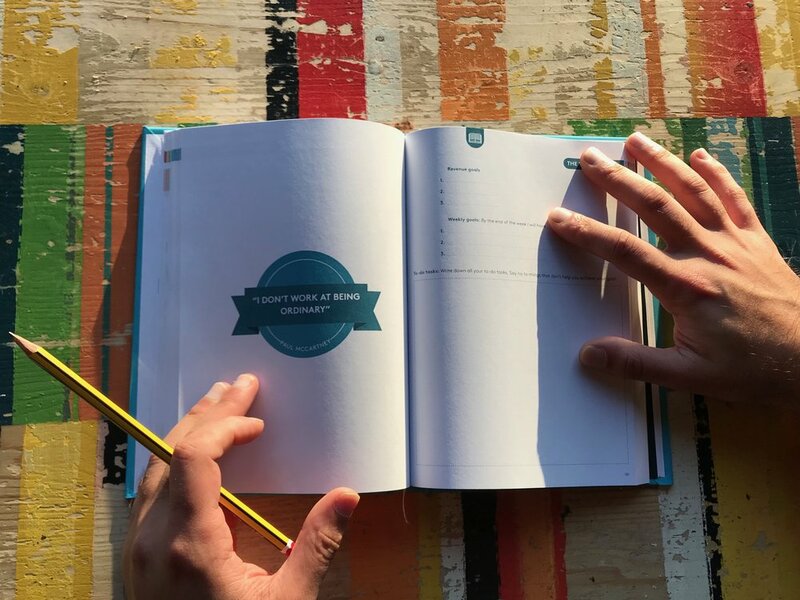 After over a year of creating, writing and editing, we are launching the Top Performer Journal; a powerful 13-week daily planner designed to help you develop the right strategy, mindset and habits to become a top performer in sales. This launch party celebrates the start of our Kickstarter campaign where we aim to crowd source the minimum of £10,000 needed to publish and distribute the Journal to ambitious salespeople across the globe! This event is packed full of great ideas and tips to inspire you and your team to become a top performer in sales. You'll hear great sales advice from top sales trainer and founder Jen Wagstaff, get access to exclusive Kickstarter discounts and Top Performer freebies PLUS drink celebratory bubbles with some of the best sales people, sales managers & business owners in town. Bring your colleagues, team and friends to this exclusive event and get some sales inspiration for the coming quarter! And what's more.... it's free! Our founder, and creator of the Top Performer Journal, has worked across the globe training big-brand sales teams such as FedEx, Asics & BBC helping them achieve challenging and inspiring sales goals. In this live talk Jen shows you how you can develop the right strategy, mindset and habits to smash your sales goals this coming quarter. Speaker 2: To be announced very soon! YES PLEASE, GIVE ME MY FREE TICKET! Can't make it? Curious to know more? Download the first chapter of the Top Performer Journal for FREE here!